VICOM has announced the release of the Omni v1.5, the latest iteration of the distributed network fault analysis platform from WildPackets Incorporated. Omni reduces network downtime and boosts productivity by enabling real-time monitoring, analysis and rapid troubleshooting of global 10/100/1000 Ethernet networks from a single console. It breaks new ground in deployment flexibility, cost of ownership and extensibility in working with other network management systems, marking the first time that a fault analysis platform could be truly adaptable and affordable enough to be distributed throughout a global network. * OmniPeek, a centralised management console. * Peek DNX, a distributed analysis application that uses the Omni packet services engine to perform local packet processing on network segments. 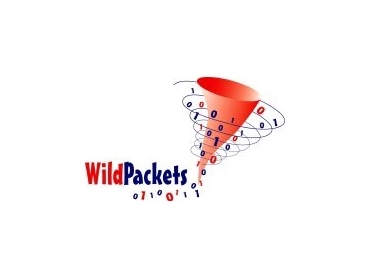 * The ability to employ the WildPackets full-duplex gigabit analyser card (GAC) that delivers full, uninterrupted visibility into enterprise core networks. Omni allows network managers to view, analyse and troubleshoot networks from the desktop to the data centre, from a single location in real time. While higher-level network management systems use performance statistics to report that faults are occurring, Omni provides the missing link to rapid problem resolution by delivering precise analysis at the network conversation and packet level. Omni 1.5's GAC, first introduced in WildPackets' portable solution GigaPeek NX, enables sustained analysis over an indefinite period. Other gigabit Ethernet analysers require users to stop packet captures when their buffer is full (causing users to potentially miss the actual problem's occurrence). WildPackets' GAC uses flow-through capture technology that eliminates limits on the length of a capture and analysis session. Omni can communicate with higher-level network management systems such as HP OpenView. The extensible architecture will allow WildPackets to eventually integrate Omni products more closely with other network management systems.